Thirty-two years ago, this date, U. S. Marine Corps Recruit Hurst died. Shortly after reveille on the morning of 01 October 1983, Recruit Hurst collapsed in the vicinity of his rack in the squadbay. Despite immediate response from his fellow recruits, and heroic life-saving measures by his DIs and EMTs, Recruit Hurst died en route to the Naval Hospital. 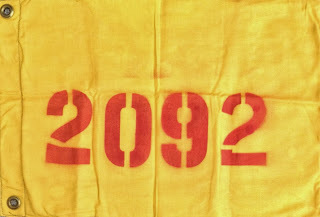 His death, coming at the end of First Phase, was a sobering experience for his platoon - 2095, DIs, and me - the Series Commander, all assigned to 2092 Series, Company F, Second Recruit Training Battalion, Recruit Training Regiment, Marine Corps Recruit Depot, Parris Island, South Carolina. We grieved, paid our respects in a fitting memorial service, accepted the reality of God's mysterious ways, and continued to move forward with training. Not a single day has passed since Recruit Hurst died that I have not thought about him, and his family. 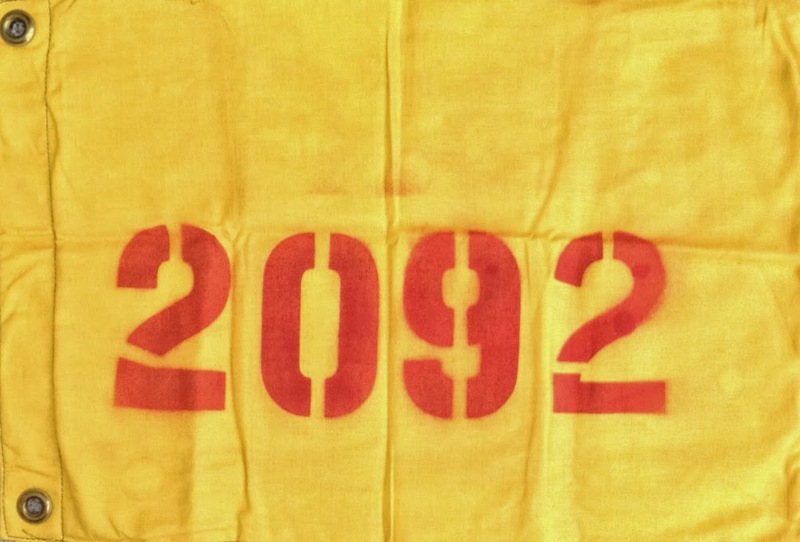 I still have the 2092 First Phase guidon. A DI from platoon 2095 said, "Sir, good morning. The Senior told me to call you immediately - a recruit collapsed at reveille and it does not look good." Not long onboard the phone call came notifying Recruit Hurst died. That CO reassured me deaths happen in recruit training - like lightning bolts. And he told me to focus on training saying he and the company commander would properly tend to Recruit Hurst. That they, and others, did. He was a rather serious gent who sported a flat top and always looked a bit perturbed. He kept me standing. Open before him was the recruit training SOP (Standard Operating Procedure). First, he commented on the unfortunate death and reiterated what my battalion CO had said (they'd seen recruit deaths before). Then for 20 minutes (seemed more an hour) he asked questions about the SOP; random they were with most related to the First Phase of training. Satisfied, he looked up at me above his black horn rimmed reading glasses and said, "Lieutenant, now I'm able to confidently include a statement in my investigation that the Series Commander was knowledgeable and competent in the performance of his duties. You are dismissed." I came to attention, said, "Good afternoon, Sir,", executed 'about face' and returned to work. A couple of years ago I had lunch with the Marine general who commanded the Depot in those days. I was stunned by his recollection of Recruit Hurst's death, and his involvement, unbeknownst to me, with the family (having made at least a couple of phone calls). He told me he'd seen a death investigation aboard our other recruit depot not handled so well and he was determined that would not happen again. It did not. The DIs were doing everything right, to the letter and more importantly the spirit of the SOP and in line with their sworn pledge, to make Recruit Hurst a Marine. Thirty-four years. Goodness. The time. The memory as if yesterday. Last Sunday evening, a beer; only one - with thoughts of Recruit Hurst; the men - recruits, DIs, Assistant Series Commander - of 2092 Series; Josh; the officers in my chain of command; and that MP. Come July 2018 I'll again rally with some of the men - some with ties to the death of Recruit Hurst - of those Parris Island days. A beer, with toast to a rare breed, always in order. Good times! After this commentary, now with minor edit, was first published a reader helped locate the Hurst family. The copy of "Making Marines" duly earmarked now in their hands (the effort to find the family Hurst took more than six years).